Week 1: What is Open Licensing? What is Creative Commons? Why is open licensing important to education? Before we talk about open licensing, let’s review what we mean by open education and OER. Open education is an idea, a set of content, practices, policy, and community which, properly leveraged, can help everyone in the world access free, effective, open learning materials for the marginal cost of zero. We live in an age of information abundance where everyone, for the first time in human history, can potentially attain all the education they desire. The key to this sea change in learning is Open Educational Resources (OER). OER are education materials that are shared at no cost with legal permissions for the public to freely use, share, and build upon the content. Creative Commons licenses make it simple and legal to keep one’s copyright and legally share education resources with the world. Because we can share effective education materials with the world for near zero cost2, many argue educators and governments supporting public education have a moral and ethical obligation to do so. After all, education is fundamentally about sharing knowledge and ideas. Creative Commons believes OER will replace much of the expensive, proprietary content used in academic courses. Shifting to this model will generate more equitable economic opportunities and social benefits globally without sacrificing quality of education content. Open Educational Resources are teaching, learning, and research resources that reside in the public domain or have been released under an intellectual property license that permits their free use and repurposing by others. Long before the Internet was conceived, copyright law regulated the very activities the Internet, cheap disc space and cloud computing make essentially free (copying, storing and distributing). Consequently, the Internet was born at a severe disadvantage, as pre-existing copyright laws discouraged the public from realizing the full potential of the network. While existing laws, old business models, and education content procurement practices make it difficult for teachers and learners to leverage the full power of the Internet to access high-quality, affordable learning materials, OER can be freely retained (keep a copy), reused (use as is), revised (adapt, adjust, modify), remixed (mashup different content to create something new), and redistributed (share copies with others)3 definition without breaking copyright law. OER allow the full technical power of the Internet to be brought to bear on education. OER allow exactly what the Internet enables: free sharing of educational resources with the world4. What makes this legal sharing possible? Open licenses. The importance of open licensing in OER is simple. The key distinguishing characteristic of OER is its intellectual property license and the legal permissions the license grants the public to use, modify and share it. If an educational resource is not clearly marked as being in the public domain or having an open license, it is not an OER. Some educators think sharing their digital resources online, for free, makes their content OER – it does not. Though it is OER if they go the extra step and add an open license to their work. The most common way to openly license copyrighted education materials – making them OER – is to add a Creative Commons5 license to the educational resource. 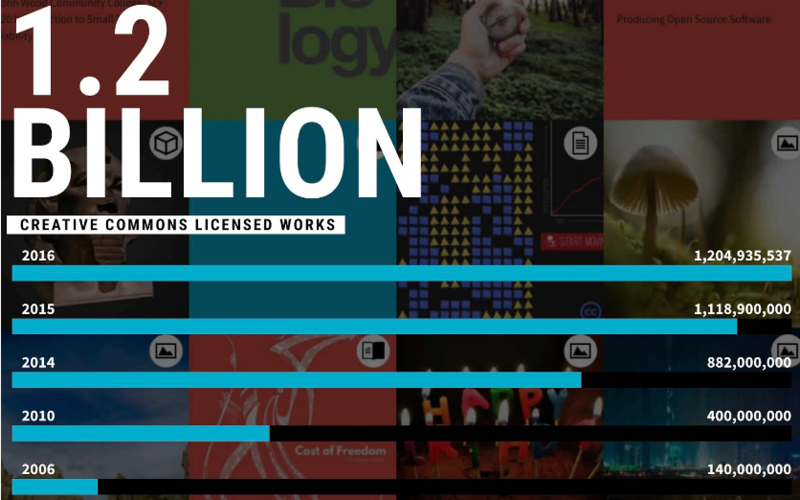 CC licenses are standardized, free-to-use, open copyright licenses that have already been applied to more than 1.2+ billion copyrighted works across 9 million websites6. 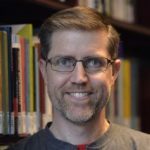 Because OER definitions place an emphasis on copyright permissions and licensing, a basic understanding Creative Commons licenses is critical to understanding OER. CC’s open copyright licenses and tools forge a balance – allowing copyright holders to share their work – inside the traditional “all rights reserved” setting that copyright law creates. CC licenses give everyone from individual creators to large institutions a simple, standardized way to grant copyright permissions to their creative work. All Creative Commons licenses have many important features in common. Every CC license helps creators retain copyright while allowing others to copy, distribute, and make some uses of their work – at least non-commercially. Every CC license also ensures licensors get the credit (attribution) for their work. Every CC license works around the world and lasts as long as applicable copyright lasts (because they are built on copyright). These common features serve as the baseline, on top of which authors can choose to grant additional permissions when deciding how they want their work to be used. CC licenses do not affect freedoms that the law grants to users of creative works otherwise protected by copyright, such as exceptions and limitations to copyright law like fair dealing or fair use rights. CC licenses require the public to get permission to do any of the things with a work that the law reserves exclusively to a copyright holder and that the license does not expressly allow. Users of a CC licensed work must credit the author; keep copyright notices intact on all copies of the work, and link to the CC license deed (e.g., CC BY-SA 4.0) from copies of the work. Users of CC licensed works also cannot use technological measures to restrict access to the work by others. For example, I cannot lock down your CC licensed music with digital rights management software to restrict others’ use. Anyone can get their CC license – at no cost – at CC’s license chooser: http://creativecommons.org/choose It is worth mentioning there is no need to register your work to get a CC license. CC also provides tools that work in the “all rights granted” space of the public domain. CC’s CC0 tool allows licensors to waive all rights and place a work in the public domain, and the Public Domain Mark allows any web user to “mark” a work as being in the public domain. Read (or re-read) the Cape Town Open Education Declaration (+ the new Cape Town +10), UNESCO Paris OER Declaration, and UNESCO Ljubljana OER Action Plan. While in many other countries (like in many EU member states), cost may not be a problem, restrictive copyright and narrow fair use / fair dealing rights can limit new teaching methods.